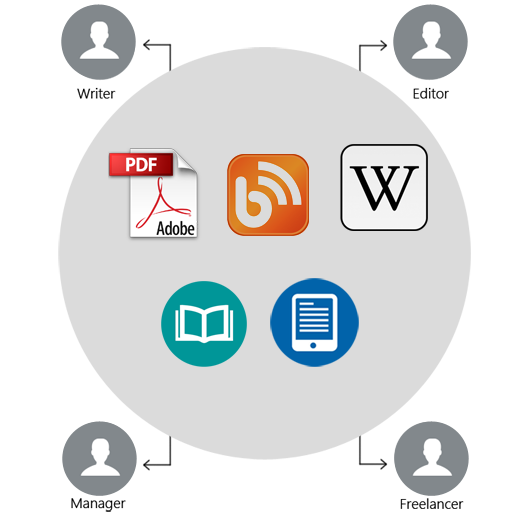 Bring your teams together and create user guides, wikis, PDF manuals, blogs, knowledge bases, ebooks and more in one single location. Manage all your training and marketing materials in a single repository with full control over workflows, versions and approval processes. Update and publish content at a single click. 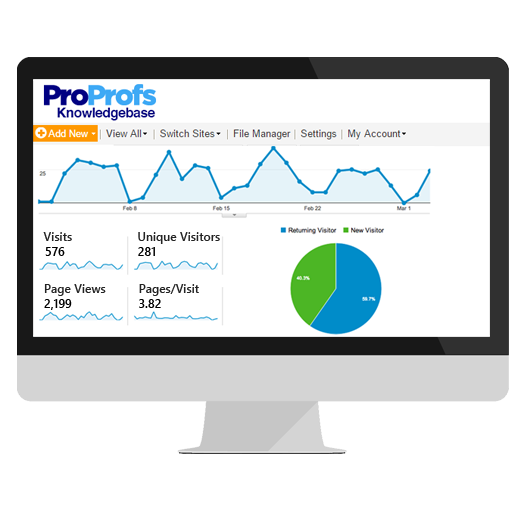 ProProfs empowers your marketing team to see what content is popular in the knowledge base. Relationship managers, product managers and advisors get clear insights into which articles, ebooks, guides or manuals are performing well with customers. All insights are visually represented for easy understanding and you can also dig further by exporting the data as Excel or PDF files. ProProfs works behind the scenes to highlight the content that is most popular with your customers or is most used by internal sales people. By filtering the noise, ProProfs empowers your sales team to easily find key information such as the pitch, blog, ebook, wiki, user guide or product announcement that best matches a sales situation. ProProfs integrates seamlessly with popular CRMs and helpdesk tools such as Zendesk, Desk.com, Freshdesk and more. Sales executives can view all help articles, user guides and other winning content, without ever leaving Salesforce. Support agents can also instantly turn a ticket or query, within Zendesk, into a help article in ProProfs Knowledgebase.